Nexera full size platform bed 345405 can be paired with different Nexera full size headboards to create a complete bed set. Its unique design gives the impression the bed floats above the ground, giving the entire room an airy feel. Fits a standard full size mattress. No box spring required. 500 pounds weight capacity. The high in style Alibi Collection from Nexera combines modern lines to beautiful walnut and charcoal finishes, creating a welcoming and trendy bedroom set. The collection offers twin, full and queen size bed sets as well as a 4-drawer dresser, a matching nightstand and a convenient vanity. This twin size platform bed with matching headboard bundle is the ideal start point for any kids bedroom. It's neutral Ebony finish makes for a beautiful boy or girl's bedroom while allowing the bed and headboard to be paired with multiple different chests and night stands from Nexera. The Kabane platform bed and panoramic headboard is the perfect starting point to create your own perfect modern bedroom set. Creating a visual link between the elements of your decor, the panoramic headboard and floating platform bed create a sleek and relaxing atmosphere. 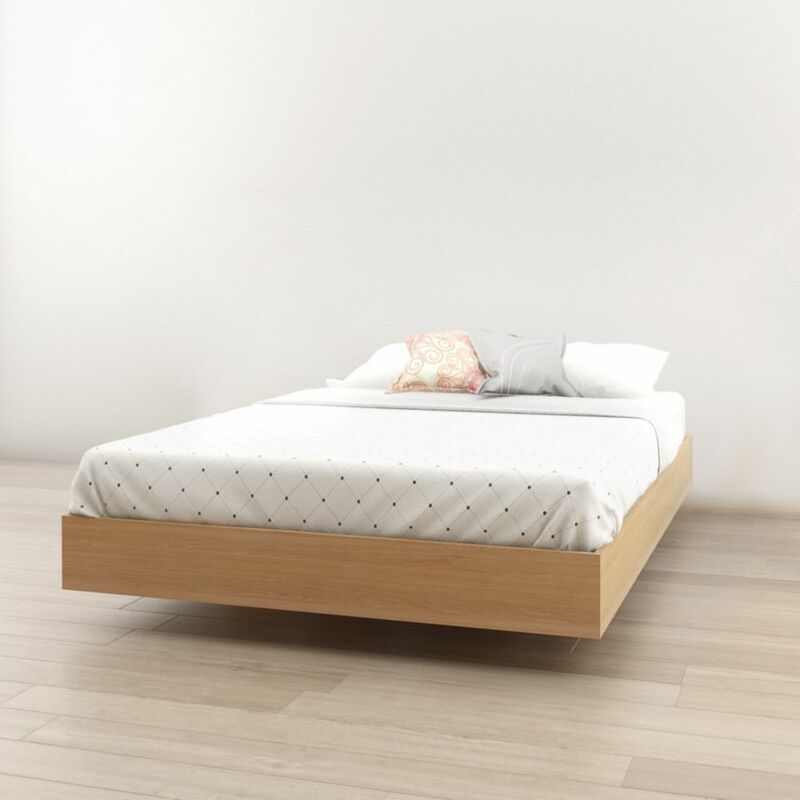 345405 Full Size Platform Bed, Natural Maple Nexera full size platform bed 345405 can be paired with different Nexera full size headboards to create a complete bed set. Its unique design gives the impression the bed floats above the ground, giving the entire room an airy feel.